Full of expectations Swedish swing dancer Agnes Hjelm took off to Oslo to attend Winter Jump. Four days later she left the event–still on a dance high and with new cool rhythms in her feet. Winter Jump is Norway’s largest lindy festival. It was held 23-26 Februari 2017, in Oslo, the capital of Norway. This is why you should not miss it next year. What’s your greatest impression from the weekender? – The energy of the Saturday evening. It was one of those magical nights where everything just came together beautifully to create the most amazing atmosphere: The band, The Jazzombies, was swinging hard, the performances early in the evening made everyone inspired, the jam circles were crazy energetic, even the DJ music after the band finished felt more inspiring than “your usual DJ music” but maybe that was because everyone was on a dance high already… Everyone seemed to have their best night in a long time. – The venue for the Thursday and Sunday dances was a little warm and a little small, but I have definitely been to worse venues so I can’t really complain. The home-brewed beer definitely made up for the shortcomings! The bigger venue (Samfunnssalen) for the Friday and Saturday dances was just amazing – big, high ceilinged, beautiful, and I even heard that they had held swing dances there in the 50’s and 60’s! At what level did you participate? – I had a party pass and went to all the evening dances. WATCH: Agnes Hjelm dancing during Winter Jump 2017 – The Final Jam Circle. Filmed by Slava Bogatov. Photo above and cover photo: Clément Madeline. – I had a lot of personal revelations about my dancing; I always do when I social dance so intensively. I get into this state of mind where I can feel everything that my body is doing and I am able to analyse it way more in detail than I can ever do at regular practice sessions at home. Also I watched a class that Alice and Felipe were teaching and learnt a cool rhythm variation. If you would compare Winter Jump to another event? – This may sound cliché but it’s true: Every event I’ve been to, and that’s a lot lately, has been unique! I guess in size it may be similar to Lindylicious and Smokey Feet, but I am notoriously bad at judging a crowd size so don’t take my word for it. Describe the participant – international participants, level of dancers – and who would you recommend to go next year? – Yeah, there were a fair amount of international dancers at this event, but also a lot of Norwegians who don’t really travel much and whom I didn’t recognize. It was a good mix! The level was anything from almost-beginners to almost-pros, and of course the pros as well, the teachers. If you’re looking for a fun, friendly, relaxed festival I think you should go to Oslo! – I’d like to see the social nights go later, but I understand that there may be legal limitations involved as we have the same in Sweden. But there were still a lot of people on the dance floor when they closed, who were disappointed that they had to go home. I know I was! – The tea dance was a bit on the short side as well, and had only DJ music. I think the event is big enough that the last dance could have live music and go for more than only three hours. Why must I not miss Winter Jump 2018? – Because of a friendly, relaxed atmosphere, great live music, and did I mention the home-brewed beer they served at the opening and closing parties? Good to know before going? – You should be aware that there are no competitions this weekend, at all. Almost every event has at least a Jack & Jill and a lot of dancers just assume that competitions will be held. Also you should know that the social dances end quite early, 2.30am was the latest night at this event. It’s probably good to know as well that Norway is an expensive country. Where did you stay during the weekend – hotel/hostel you can recommend? – I stayed at The Hotel, I mean, the hotel that the organizers had made a deal with and where a lot of other dancers were staying. It was almost a bit of a Snowball feeling, running into a bunch of dance friends at the breakfast buffet, passing dancers in the lobby when you get back at 3am… I can definitely recommend it, unless you’re on a budget. Hotels are never cheap, even with the dance event discount. 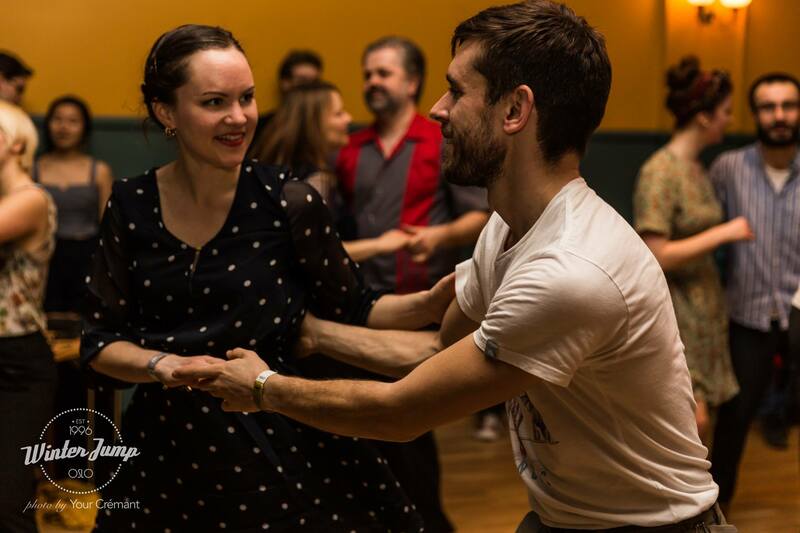 Agnes is teaching shag workshops with Victor Kurronen at Swedish Swing Society in Stockholm. Check out next event here. Photo: Chatrin Svensson. If you have to choose only one more swing event during 2017, which would you choose? – Hands down, no doubt about it, Lindy Shock in Budapest. It’s the camp that revived my passion for lindy hop in 2015, after years of not really dancing much. It has a special place in my heart. At what event will we see you next time? – I’m thinking about going to Paris Jazz Roots, The Lindy Camp (Stockholm), Warsaw Collegiate Shag Festival, but the next big one I have already bought tickets for is Smokey Feet in Amsterdam. And if I may take the opportunity I’ll also say you will definitely see me running around like crazy at U-Town Swing Camp, the event I’m organizing in Uppsala in September. What aim do you have with your dancing? My biggest goal is always to get better as a dancer – challenging myself is my best way of having fun! That being said, I do want to travel more to teach, perform and compete internationally.